I used it to import contacts from a gmail account and it looks good. then I tried to do it again with another gmail account with many contacts (>500). It showed import success but the contact list is still from previous. Even I did it again after I removed all exist contacts, it still show contacts from first gmail account. I am not sure what will be happening for that.. but multiple accounts can be a mess. Actually I can’t uninstall it since click unregister does not work so I reflash whole system then install importer again. 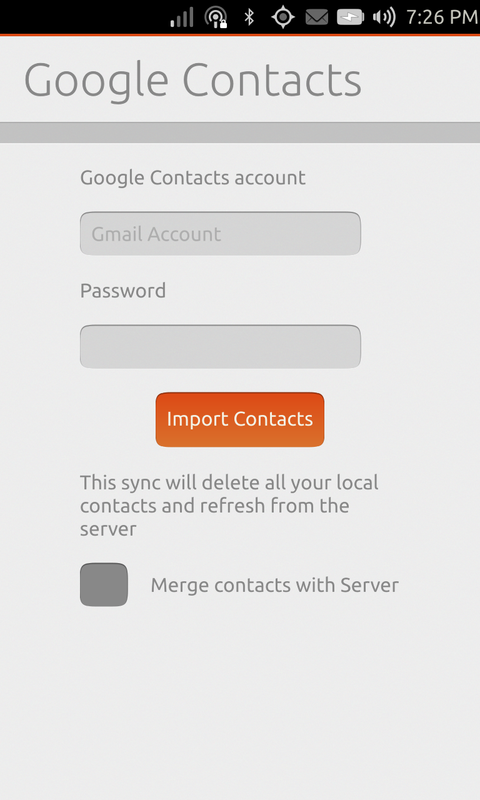 I’ve instaled the app today because I needed to update my Google Contacts on server and I have checked the merge case but is not working 😦 I receive the following error after 3 minutes: “sync error”. Shouldn’t this be part of the contacts core app? It would be a lot nicer as a feature there, taking the gmail credentials from the accounts settings, .